Primal Pathways and the Centre for Coaching (a centre for excellence at the University of Cape Town’s Graduate School of Business), are excited to offer a unique Wilderness Coaching Masterclass in one of Africa’s most remote and untouched wildlife sanctuaries. 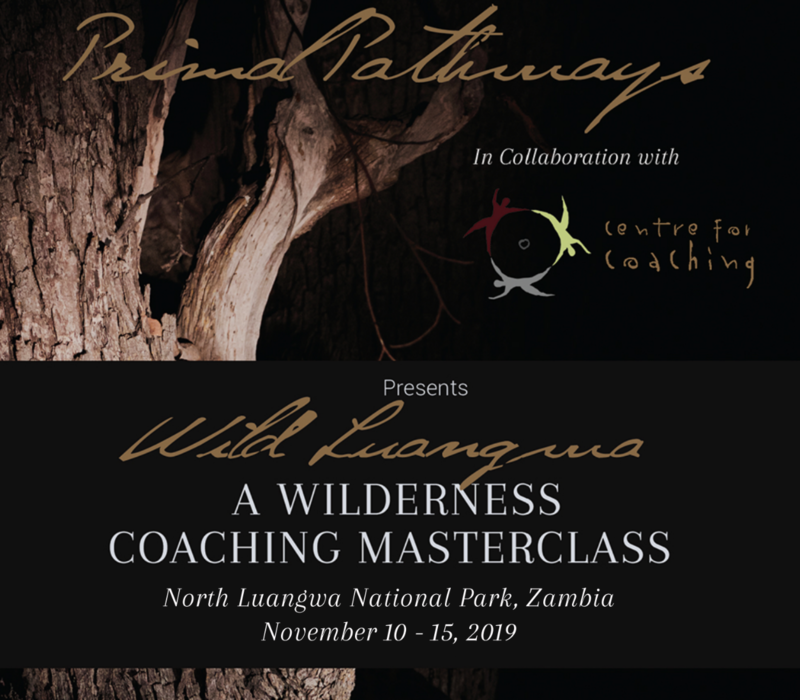 From 10 – 15 November, 2019, Craig O’Flaherty, Janine Ahlers and Brent Harris will lead a life-changing five-day wilderness-immersion, delving into the transformative perspectives of nature, deep in the vastness of North Luangwa National Park. Limited to a group size of six, this experiential journey is a rare opportunity to encounter the undisturbed purity of the African wilderness, accompanied by sensitive and insightful guiding and two of the continent’s most sought after coaches. In order to adopt more powerful thought patterns, and release habits that no longer serve us, we must step out of our familiar environment and see the world from new eyes. © 2019 Centre for Coaching. All Rights Reserved.